The Stealth Commander with Linear Lenses will blast the surroundings with 90 Watts (5400 Lumens) of brilliant, highly visible flashing light that fans out 120°; it can be seen far and wide. It is the brightest, most powerful visor light that ETD sells. Just remove the visors in your vehicle, install the universal mounting brackets, and attach the Commander. Because of the size (17”) and the shape of the 2 sections, they go unnoticed and look like visors until you hit the ON button on the digital control panel which fits between the two bars. 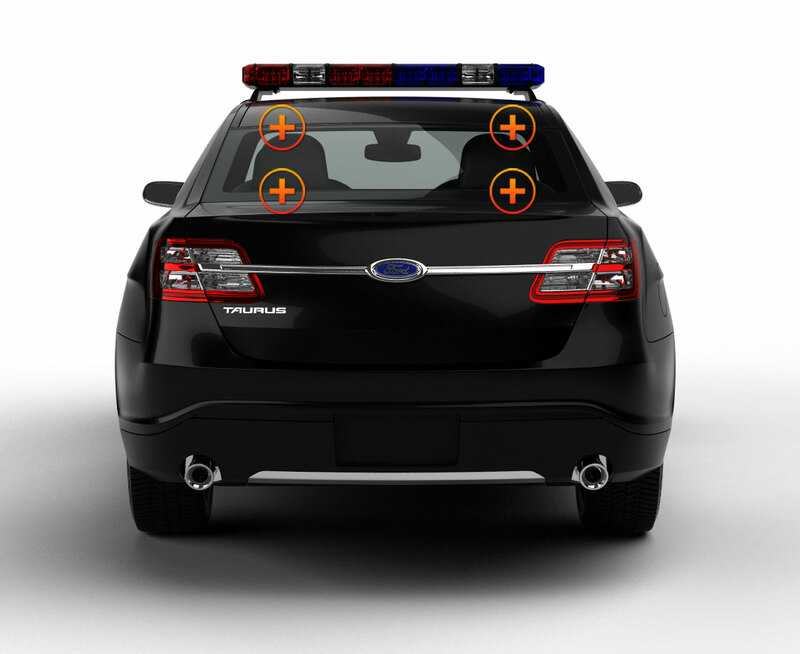 The multifunctional control panel turn the Stealth Commander into a traffic advisor, too, with its 3 flash modes that move traffic LEFT and RIGHT, and in BOTH directions. You’ll always know exactly which of the 26 flash patterns is operating because the one in use is displayed on the back of the panel. Two optional features can be purchased for the Commander: a takedown light at $20, and alternating lights at $50. You select one of the 13 standard solid or split-color combinations. Because of the the eye-squinting brightness of the light, a protective flashback shield is included with the purchase. 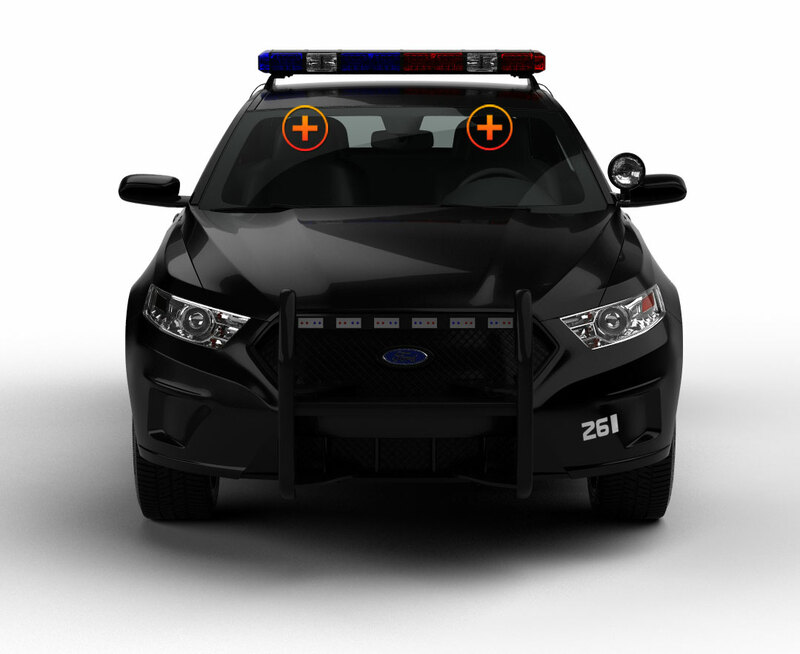 Two pairs of Undercover 4’s with TIR lenses are included with this purchase; these emergency vehicle lights add a whole new dimension to the light setup. The Total Internal Reflection lenses produce high focused beams of light, and when added to the wide light spread of the Commander, so a much wider area is flooded with light. Install these surface mount light so they shine off into the distance, or place them low, so that the ground level is highly visible. The choice is yours as to how and where you want the wide angle and focused light to shine together. Undercover 4 housings and lenses are made of almost indestructible polycarbonate, so mount them low and never worry about rocks or road debris taking them out. They are hardwired to an existing light system and come with 12” pre-wired, multi-colored cables for easy installation. If you are a DIY kind of person, then ETD will assist you all along the way. Before starting an installation project, read through the directions you’ll find in the Installation Guide of our Knowledge Base. Make sure you have all you need at hand to do the job before you start. Check out the ACCESSORIES section; we’ve made it really easy for you to find just what you need. And….if you run into a snag…..JUST CONTACT US….One of our many customer service representatives will be glad to help you get it right!